"I had an impression [that] it was an exceedingly good piece of hardware. 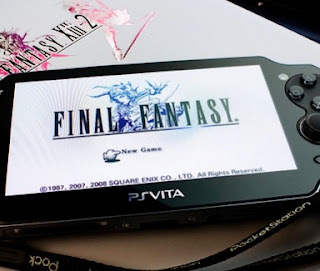 Since I [had been] making Final Fantasy titles on the PSP, I have an interest in [developing] for a larger device. As someone concerned with game production, there is nothing other than the Vita that offers that largeness, high density and luminescence, and ability to [render] high-quality images." Let us know if you want a Final Fantasy game on the PS Vita in the comments below!